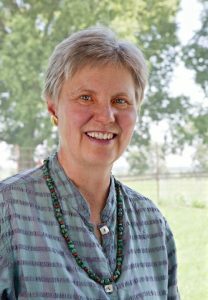 BEI Emeritus Fellow, Mary Swander recently appeared on the Female Farmers Podcast to discuss the intersection of art and agriculture. Swander, the Poetry Laureate of Iowa is often bridging these two worlds. Recently Swander had written a play about first generation farmers in America, and afterwards, she used this platform to create a workshop for family farmers looking to create long-term plans to keep their farms going. Listen to the podcast, and enjoy the important subject matter, as well as the strong, and powerful women carrying these vital ideas into the present.